Diane M. Horst, 68, of Akron, passed away on Monday, April 8, 2019. She was the wife of the late I. Robert “Doc” Horst Jr., who passed away in 2016. Born in Ephrata, she was the daughter of the late Earl and Elsie Martin Schoenberger. 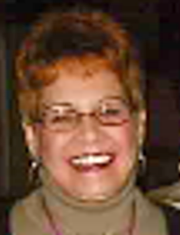 Diane had worked in the offices of Wayne Gehret Stamps of Ephrata for many years. She had also worked in years past as the Ephrata VFW and Hestco Sewing Factory in Ephrata. She enjoyed bingo, going to the casinos and shopping. She loved all animals and was a loving, generous, and caring person. Diane is survived by her son Michael L. married to Lacey Ruth of Bergen, NY; her granddaughters Brooke Ruth of Lititz, and Brittany Ruth of Lancaster; her great grandchildren Trey Bowers, Maysen Wenger, Jaxton Whitmyer, and Elliot Ruth. She is also survived by her siblings Linda, Ricky, David, and Pat and by nieces and nephews that she loved very much. She was preceded in death by her brothers Gary and Eugene. Relatives and friends are invited to attend Diane’s Celebration of Life Gathering on Sunday August 25th, 2019 from 1-4pm at Foxchase Golf Club, 300 Stevens Rd. Stevens PA. In lieu of flowers, please make contributions in Diane’s memory to the Lancaster SPCA, 848 S. Prince St., Lancaster, PA 17603 or to the Shriners Hospitals for Children at www.shrinershospitalsforchildren.org/shc/ways-to-give1.